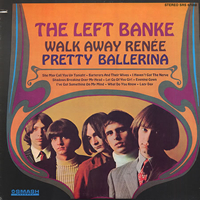 Pretty Ballerina was the second single for the American Baroque pop outfit The Left Banke. The song was written about a ballerina called Reneé Fladen in 1965, who 16 year old songwriter Michael Brown was infatuated with. Their debut single Walk Away Renée was written about the same girl, as was She May Call You Up Tonight. The muse in question was the then girlfriend of Tom Finn, the bassist in the band. Here´s a pic of the lovely Renée from way back when. She was present in the studio during the recording of Walk Away Renée and Brown found it very difficult to play at the time. Pretty Ballerina was name-checked by Leonard Bernstein in his Inside Pop Revolution, a programme where the great American Composer sat at a piano, analysed songs and interviewed young rock stars who he felt were creating something new and revolutionary during the late 60´s. It´s well worth a look and features a 23 year old Brian Wilson of the Beach Boys playing Surf´s Up on piano (a song from his doomed follow up to Pet Sounds, the unreleased Smile) and also Frank Zappa, Graham Nash as well as the music of the Beatles among others. Incidentally Bernstein´s own “Maria” from West Side Story was written in Lydian mode. Now I´m not going to go into all that “What´s a Mixolydian mode?” business now, but if you´re interested you can read up on musical modes here. The band originated in New York City, where Michael Brown (born Michael Lookofsky) was the production assistant at the small recording studio of his father, and accomplished jazz violinist, Harry Lookofsky. Brown was a classically trained musician and he used to sit in with some of the other session players on recordings. He made friends with bassist Tom Finn, drummer George Cameron and singer Steve Martin Caro in 1965 and under his father´s management they became The Left Banke. With the success of their first two singles in 1966, the band embarked on a tour in early 1967 to promote the album Walk Away Renée/Pretty Ballerina, until songwriter Brown decided to quit touring and become a full time studio musician (á la Brian Wilson). Brown´s decision caused ill feeling in the band where the small rift soon became a full on mutiny. 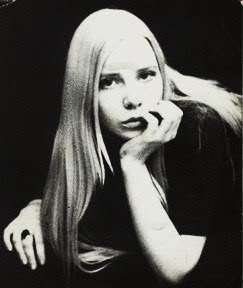 Brown had put together a group of session musicians (like Wilson did) to record their third single Ivy Ivy/And Suddenly which was released in March 1967. The recordings featured two different lead singers, future Spinal Tap member Michael McKean, and Bert Sommer. The other band members urged a boycott through their fanclub, and hired attorneys to issue a cease-and-desist order, and the single was subsequently pulled by their label Mercury/Smash Records, and as a result the single failed to chart. This was way before the Beatles had even considered sueing each other, so you could say they were ahead of their time. Radio stations were unsure which Left Banke to support and although the group reunited in late 1967, because of the earlier controversy, the radio stations were now reluctant to plug their latest single Desiree, which consequently charted at #98. Brown left the group permanently soon after and was replaced by Emmet Lake, who with Cameron, Finn and Martin continued to record and tour. Tom Feher then replaced Lake on keyboards and wrote half the bands new material for their second record The Left Banke Too which was recorded by the various incarnations of the band during ´67 and ´68 and featured many Brown-penned songs and a young Steve Tyler, later of Aerosmith, on backing vocals. They never again regained the popularity of their first two hit singles and went on to disappear into obscurity. They influenced, and were influenced by, many of the bands around them at the time, such as The Byrds, The Beatles, The Zombies and others from the British Invasion, and much later REM and Belle & Sebastian. Founder member, Tom Finn is now back together with George Cameron and others touring with a string section and recording new material with contributions from Michael Brown. He was joined on stage in April 2012 by Brown in B.B. Kings in New York and the pair received a standing ovation. Rick Brand (guitarist 1966 to ´67) was also in attendance at the gig. Here´s an interview with Tom and George along with other members of the current line up after their acclaimed gig at The Bearsville Theatre on 8/20/11. Pretty Ballerina appeared in the movie Apocalypse Now and has been covered by Alice Cooper, The Eels, The Bluetones among others. Having worked with the Left Banke in the ’60s and in the group’s recent incarnation, I can honestly say the current group is miles ahead of the “original” in live performances. In the 60’s management was so cheap that the group was sent out without strings. YOU CAN’T PLAY LB MATERIAL WITHOUT STRINGS. The current band sounds very much like the original SHOULD have sounded. Great. Thanks for the comment Jack. Yeah, I´m sure it makes a big difference to the sound. Do you know if they´ve any plans to tour Europe? I´d love to catch them live. I´ll have to see if they´re coming to Madrid or Dublin at some stage. No talk of Europe,at this stage. Tom and Geo are comtemplating future plans now. Okay, hopefully they do. Thanks for the info! (Tom Finn) are discussing our future plans as we speak. We have a major dilemma right now. That is, the size of the band. Although we have strings (2 violins & 1 Cello), we also have 2 keyboard players (1 for piano & harpsichord) and (1 for samples ie; string section, flutes, oboe, synthesizer, sound effects, etc. Anyway, at our latest several shows we had eleven (11) players or singers on stage. If you count our roadie/bus driver, merchandise person and manager, that makes fourteen (14) in our entourage. You can’t make any money doing that. So……….. Unless something or someone comes along to float this project. I can’t see us continuing much longer. But. I have faith that somehow we’ll get this done. Thanks a million for getting in touch Tom. Love the Left Banke stuff. I hope you guys get the funding you deserve. A lot of people in Europe would love to hear you guys play. Glad to hear you´re keeping the faith anyway. Here´s hoping it all works out for you.